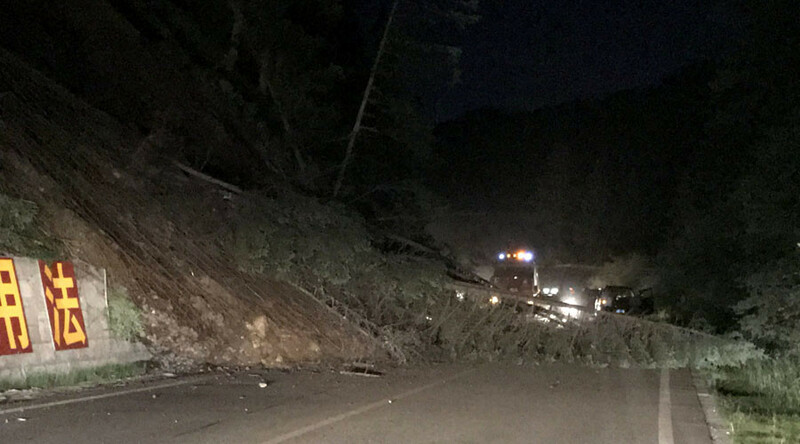 Seven people are reportedly dead at a tourist resort in China’s southwest province of Sichuan following an earthquake measuring 6.5 on the richter scale. Chinese authorities say the earthquake measured magnitude 7. The earthquake hit a mountainous area some 200km (120 miles) northwest of the city of Guangyuan, and was measured at a depth of 9km (5.5 miles), according to the USGS. Seven people died and 88 people were injured, 21 of them seriously according to Reuters, which cites Sichuan television. China has activated the top level of its four-tier emergency response system, according to a statement released to Xinhua. Search and rescue responders have been deployed to the area as well as other emergency responders. Local authorities have launched an emergency 24-hour helpline for those affected by the earthquake. Xinhua reports that some houses collapsed in the wake of the quake, and images published by the state media site show rubble on the streets. More than 100 aftershocks have been registered, according to the state news agency, and evacuations are underway. The earthquake’s epicenter is in the Ngawa prefecture, which is mostly populated by ethnic Tibetans and nomadic herders, but is also a popular tourist destination, reports Reuters. On Tuesday more than 38,000 people visited Jiuzhai Valley, a national park located in Jiuzhaigou County, inside the Sichuan Province, according to the Xinhua news agency.